There you go. Like I said, nothing new. The minor raise is due to the additional cores and higher base clock speeds I suppose. Seems the veterans are Intel have a very good reason for jumping ship. you are crazy. Jumping ship? Have you seen multimedia benchs? 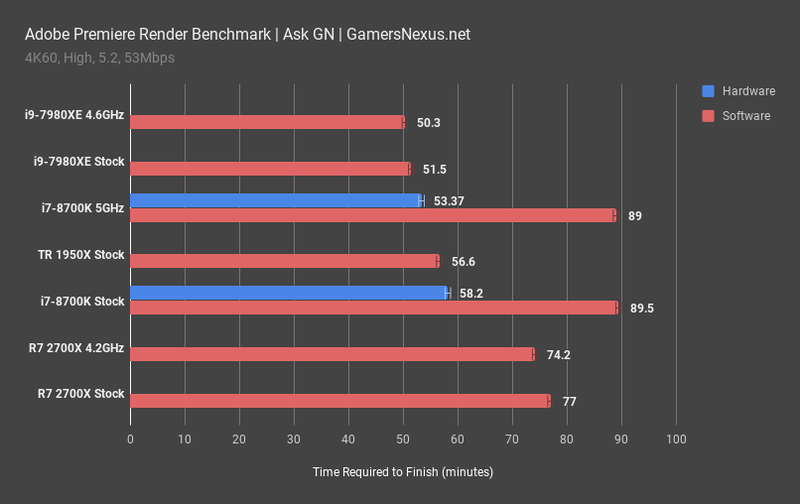 Even the i7 trumps AMD in workflow tests. You aint gonna buy 1000$+ cpus for gaming, and if you are, the new intel is still better, even tho it's an idiotic choice for 5% more performance over 300$ part from lower intel offering. Again, intel quick sync vs no intel quick sync in applications is +30~50% more for intel quicksync capable CPU. edit: you can bet your all assets that intel will hold more future value in terms of performance. Influnece, bribes, sheer performance...Paying 1000$+ is no time for cheering for an underdog with no interest in investing. Even the i7 trumps AMD in workflow tests. That's not the word I would use. I'd use 'trump' in a comparison of a Renault and a Mercedes. There are tests where AMD wins over the i7 - which is not something a Renault can pull of when pitted against a Mercedes. But yeah, I agree that no sane person would buy these CPUs. And that's really where AMD comes in - it's actually affordable. Let's agree to disagree and come back to this is a year or two. Neither one of us can see the future, we both try to read the 'signs'. I am also expecting that even are more CPU flaws are going to surface and the microcode updates will shave off even more performance benefits. since they went to hardware and bios fixes, there is no performance impact. Also, like I said somewhere earlier, you can turn off those updates if they are software based with a simple tool. just one example. Nothing about this will change as time passes. Intel will render faster, now, tomorrow, in a year, etc. So yea, I can see the future because it's not really future, it's now. Of course it's faster than the amd 2700x (which does 16) threads. Same reason why the intel 8700k (doing only 12 threads) is proportinally slower than the amd 2700x. You do notice a pattern, right? Now, put the price tag next to each. AMD is a far better value and most people prefer value. The rich kids will always buy the Intel, even when they don't not really need it (I doubt they even understand what they paid for because then, they would not pay for it in the first place. ).